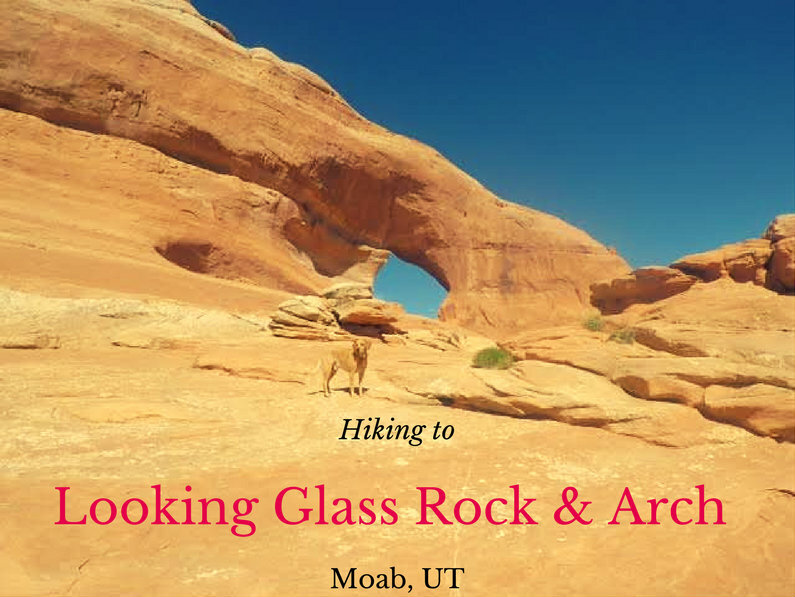 Looking Glass Rock & Arch is off HWY 191, about 25 miles south of Moab, UT yet hardly anyone makes the stop to check out this cool spot. 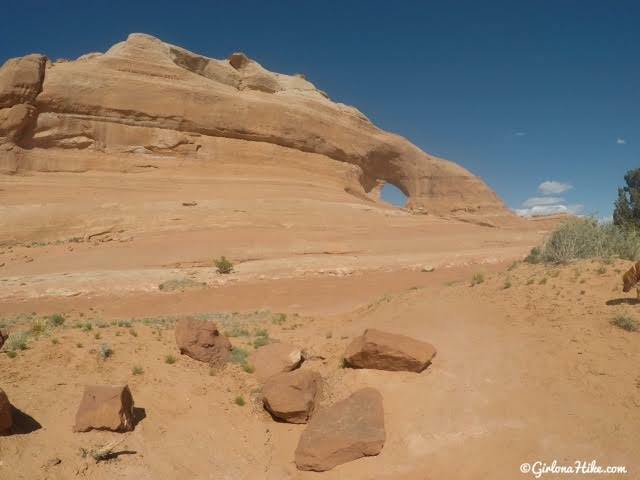 This isn't really a "hike" but more of a "walk", since you basically drive right up to it, then walk about 200 yards up to the arch. 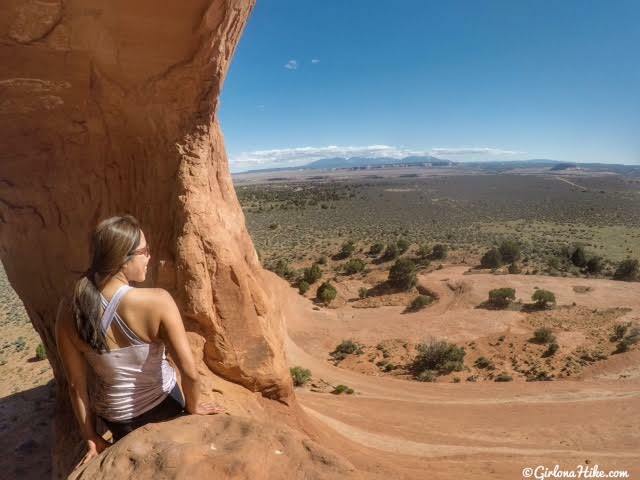 Yet what this small walk offers is one of the best arches and viewpoints in the area. 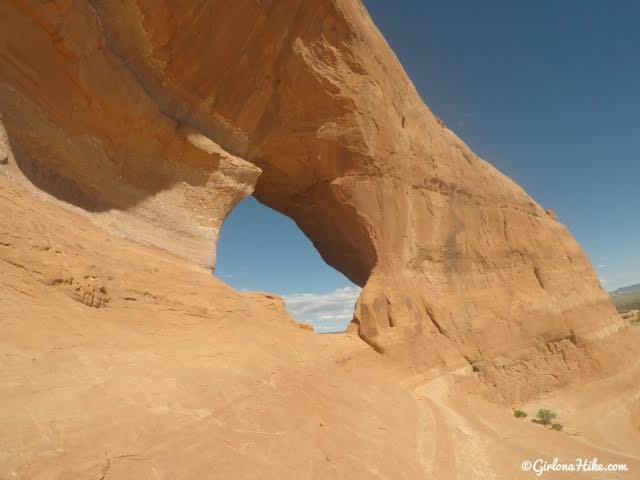 There are so many cool arches outside of Arches National Park, yet nobody cares to explore them. Best part? Dogs are allowed! 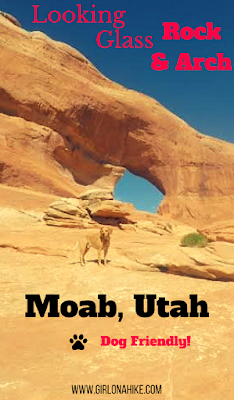 Use this map if you are driving from Moab, UT. You will have to drive on a well, graded dirt road for 2 miles but even small, passenger cars can make it. There are no restrooms. This isn't really a "hike" so no trail info is necessary. As soon as you park, just walk right up to the arch. This is dog and kid friendly, but I do recommend that you have good, sticky shoes since the rock is a little slippery. Best time to go here is in late afternoon/sunset. 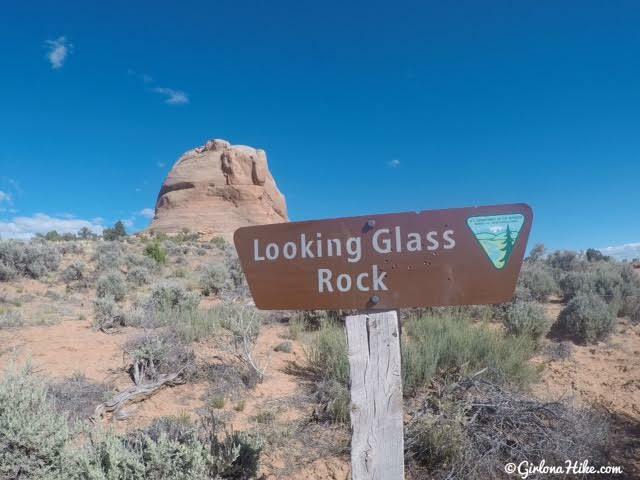 You should see the official "Looking Glass Rock" sign on the left - turn here. As soon as you park, just walk right up to the arch. 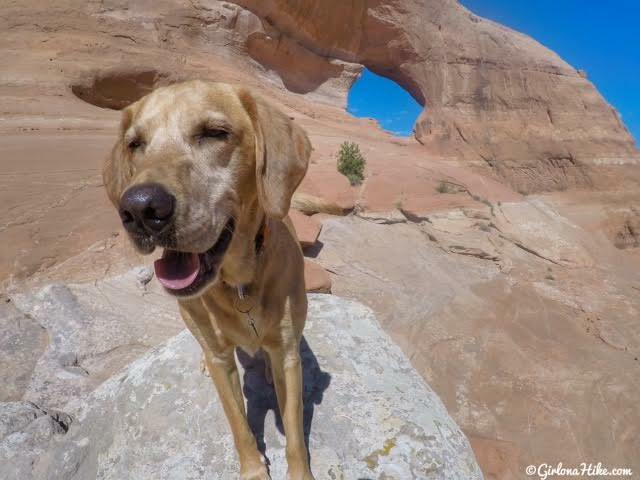 Charlie was a bit tired, since we had already hiked Hunter Canyon and explored Jug Handle Arch before coming here. 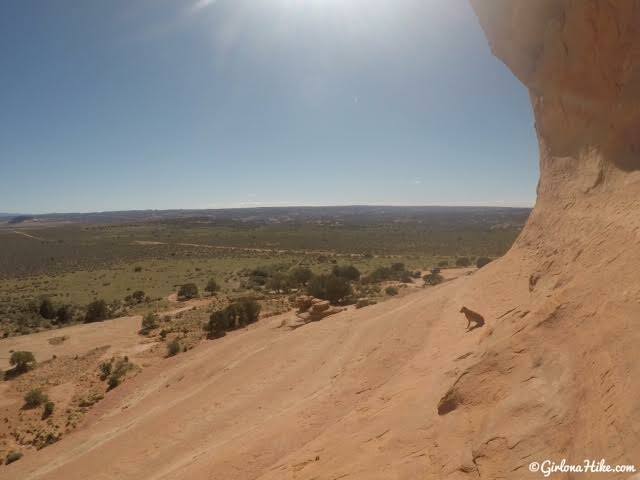 Getting closer to the arch, the slickrock starts to angle sharply. You'll want shoes with good tread to keep from slipping. 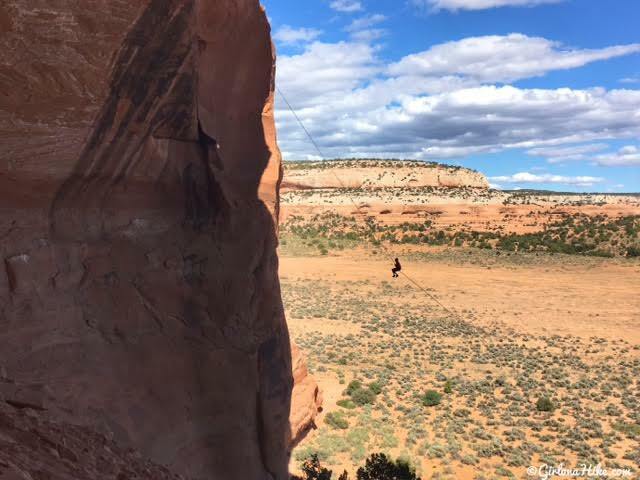 Kids may need help getting right under the arch. 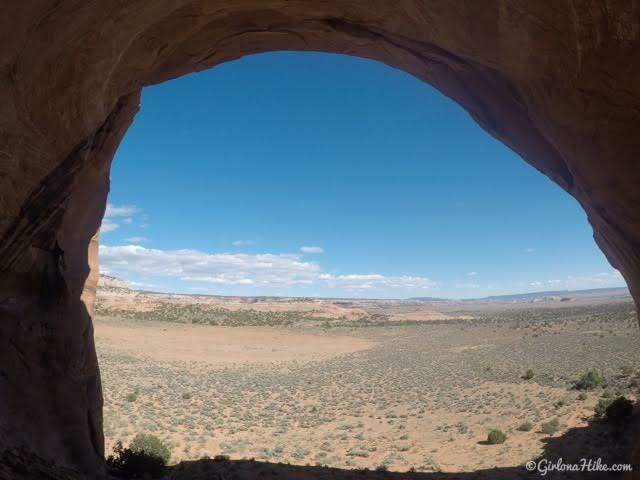 Once you are under Looking Glass Arch, you be under the amazing and very large alcove. 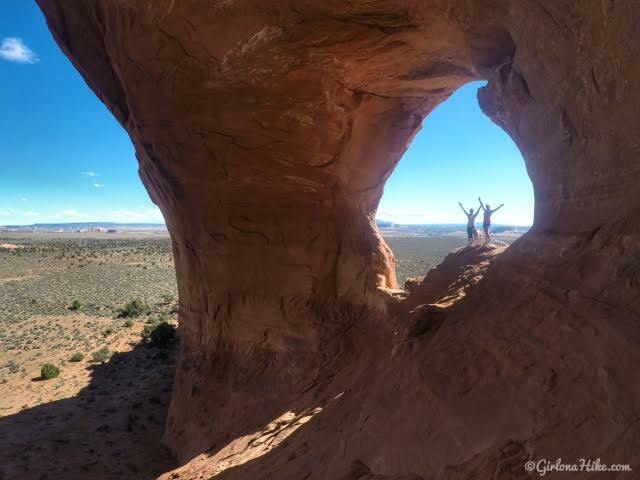 The best view of this arch is to have someone take your photo from under the alcove looking back to the arch. When we were there, we saw three people swinging on their harness. It was so fun to watch but I bet its even more fun to be on the swing! The view from Looking Glass Rock & Arch is really pretty. You have an amazing view of the Abajo/Blue Mountains to the SW, and the wide open valley to the West. 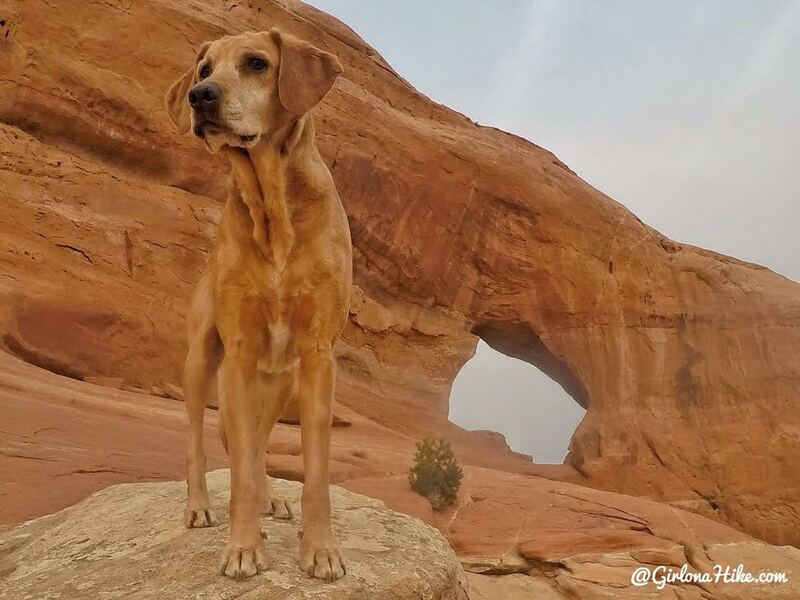 Mama-dog was too afraid to come under the arch. I think she was enjoying her view from where she was sitting though. 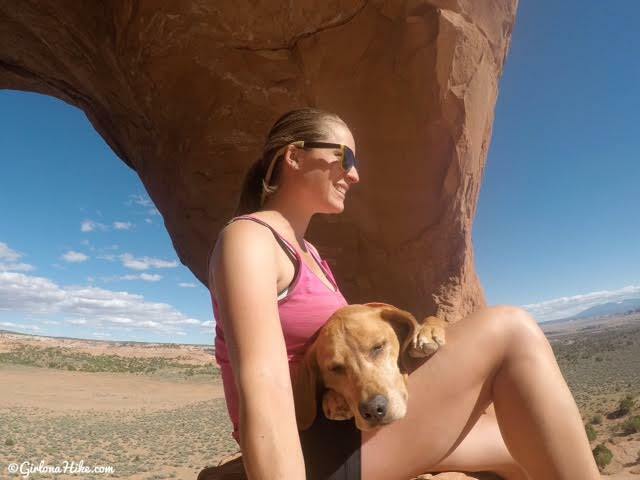 Exploring arches can wear a pup out! I'm definitely coming back here when I'm driving this way again. It was one of our favorite parts of the trip. 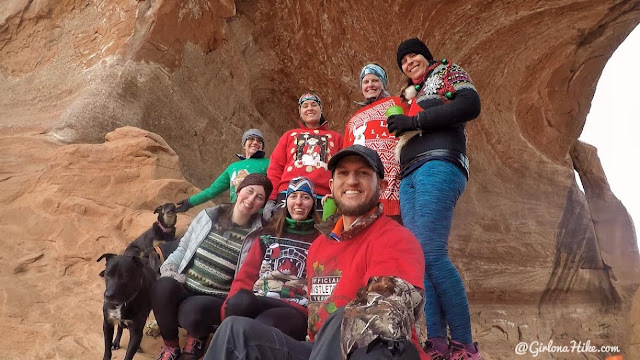 Ugly Christmas Sweater mini hike! It is also a nice little "hike" around the rock, too. But do watch for rattlesnakes. Friends were there in later April and saw a nest of rattlers and then one out on the path around...yuck! We didn't see any when we were there. Also, drive down the road a couple miles and check out the two rooms built into the rock and then a little further is the ranch with huge homes built right into the side of the rock. The rock becomes the ceiling and side walls. It is really neat. Poor Charlie!!! The guy is exhausted. 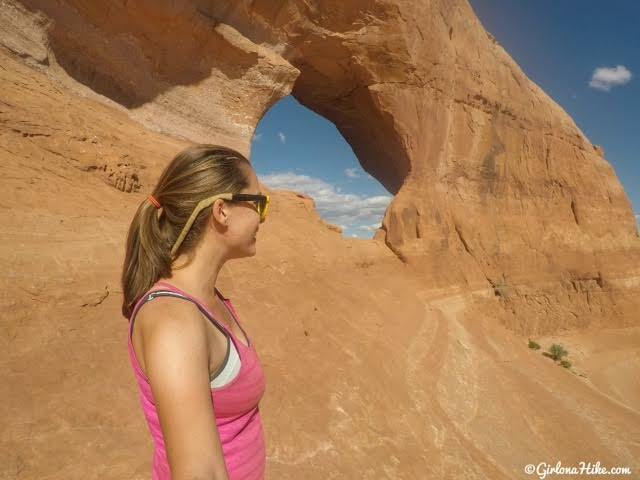 You are so totally right about all the hikes and arches outside of Arches NP. We will definitely have to check out Looking Glass. Yiu also mentioned Hunter Canyon...what a grand way to spend a morning...it's beautiful! We LOVE Moab!